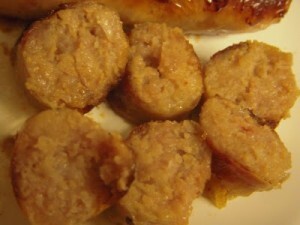 Our friends over at Rate My Sausage are back in business with a new review! 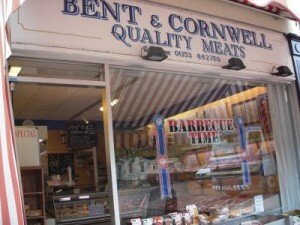 Bent & Cornwell, the second Ely butcher under the Rate My Sausage microscope – how will they fare? Not too badly as it happens…. This butcher can be easily located on the uphill side of Ely market place, with a traditional red and white striped canopy over the top of the frontage. You’ll receive an exceptionally friendly welcome here, and the lovely Linda behind the counter will satisfy your every sausagey requirement! 65% meat places these sausages in the lower reaches of the rankings, but they actually taste meatier than 65%, if that makes any sense. Maybe it’s the Cambridgeshire origins of the pork that’s different? Whatever the secret is, I’d love to know how they do it! 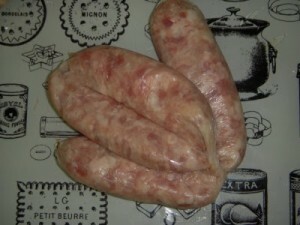 This is another homely sausage that may remind you of days of yore. 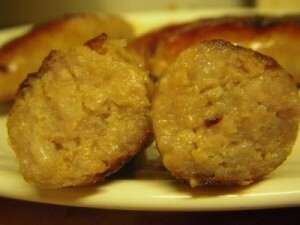 By homely, I mean a nice, familiar, comfortable sausage-y taste. There’s no out and out dominating flavours in here, but the whole mouthful is a satisfying, decent, English banger, warm, full and rusky. Good in places. 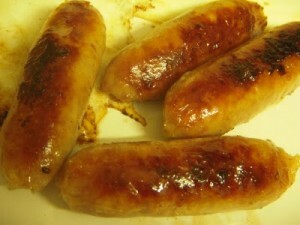 Some mouthfuls were lovely and meaty and coarse, others seemed to have more than their share of filler? A little more mixing would have benefited these chaps to provide a more consistent product, but as it is the texture is good, but not great. 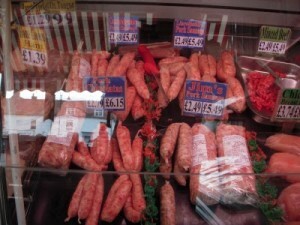 £1.15 for 4 sausages weighing 212g – this works out as £5.49 per kg = 29p per snorker. If these had retained a little more in the cooking I would say good VFM, as they lost 27% I rate them as average VFM. Try some for yourself!